Home Entertainment Nivin Pauly’s Biju First Look Poster Out! Nivin Pauly’s Biju First Look Poster Out! He has been awarded with the Best Actor award for 2015 by the Government of Kerala. He had an impressive career till date and he even scored biggest blockbusters like Banglore Days and Premam which smashed all the existing box-office records in Malyalam. He shot fame with Banglore Days and the movie ended up as the biggest hit in Malayalam and even it has been remade in neighbouring languages. Anjali Menon directed the movie and Dulquar Salman, Nazriya Nazim, Nivin Pauly, Fahadh Faisal, Parvathy, Nithya Menon and Isha Talwar played the other important roles. Nivin Pauly narrated the plot in the film too and Gopi Sundar composed the music. Anwar Rasheed and Sophia Paul produced Banglore Days on Anwar Rasheed Entertainments along with Weekend Blockbusters. He then came up with Premam which has been directed by Alphonse Putharen which is said to be a romantic entertainer. Nivin Pauly, Madonna Sebastian, Sai Pallavi and Anupama Parameshwaran played the lead roles in the movie which has been produced by Anwar Rasheed Entertainments banner. The movie emerged as the biggest hit in Malayalam cinema grossing Rs 67 crores which is huge. The movie recently completed its 200 days run. Nivin Pauly is now back with his next movie Action Hero Biju. The movie is said to be an action entertainer and Nivin Pauly will be seen as a cop in the film. Abrid Shine directed the movie and Nivin Pauly turned producer with the film. Anu Emmanueal, Jude Anthany Joseph played the female leads in the movie which completed shoot recently. Abrid made his debut with 1983 which had Nivin Pauly in the lead role. The movie is said to be an action entertainer and the first look poster of the film created enough buzz all over. The poster received exceptional response all over and Nivin Pauly produced Action Hero Biju on Tricolor Entertainments banner. The movie has been slated for massive release all over on January 22nd this year. 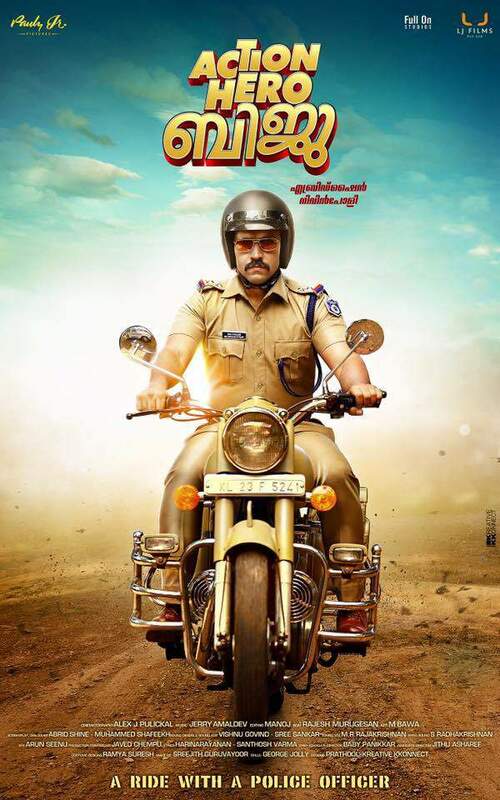 Nivin Pauly has been specially trained to perform the stunts in the movie and he even gained weight to look fit in the role of the cop in Action Raja Biju.